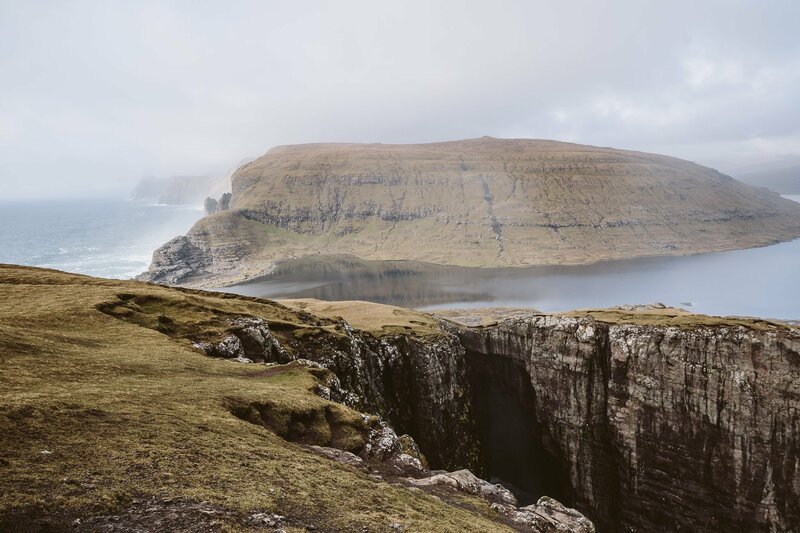 There’s no better way to discover the Faroe Islands, than to hike. 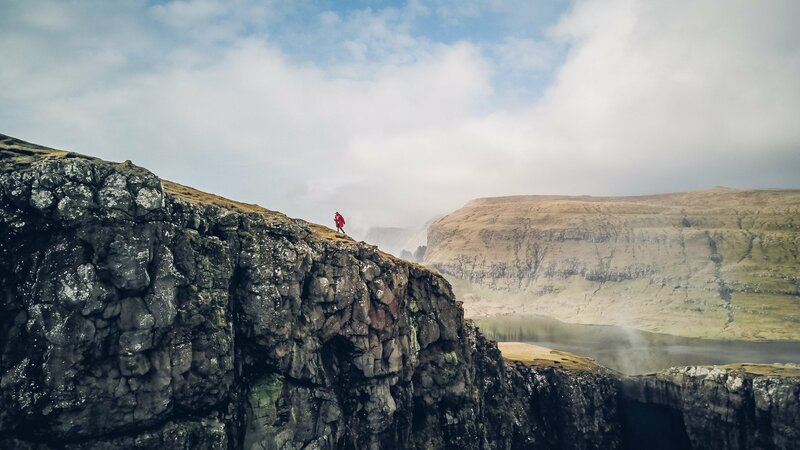 Now there are probably a million questions that you have before your visit – at least, that’s how I felt 🙂 So therefore I decided to give you a detailed insight into the best hiking tours on the Faroe Islands. 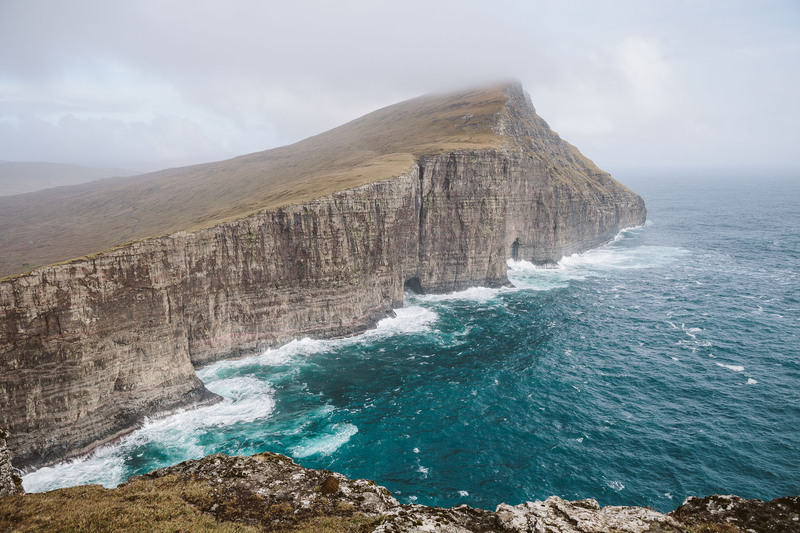 Starting with one of the highlights: The hike to the famous lookout spot of the so called “Slave’s Rock” or “Trælanípa” at the Sørvágsvatn lake. 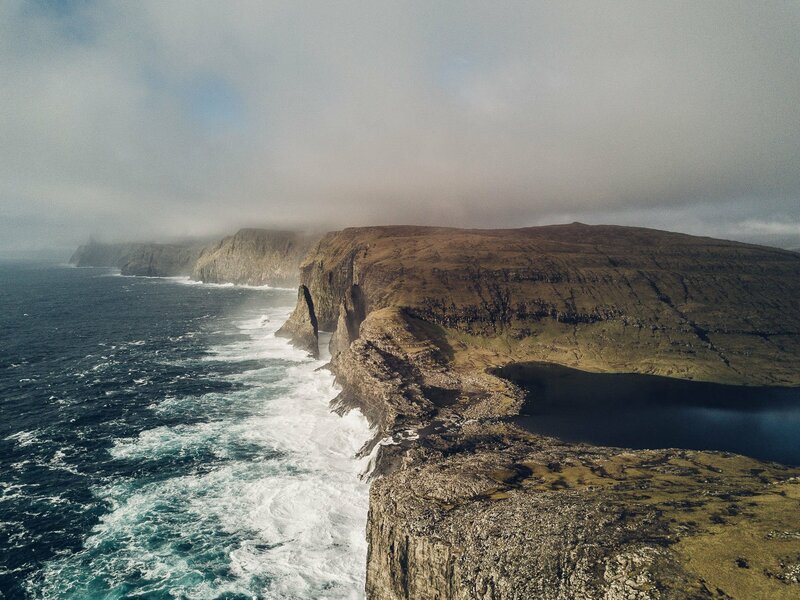 The place where lake and ocean meet! 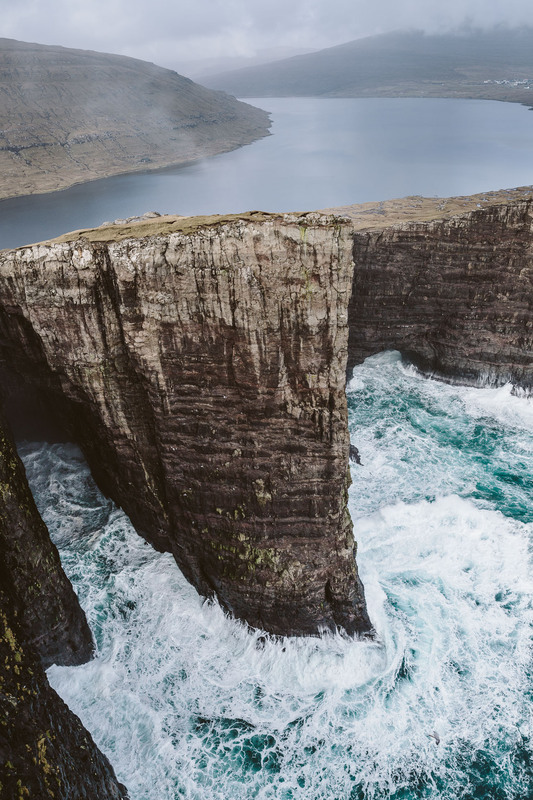 This is probably one of the most iconic places on the Faroe Islands. 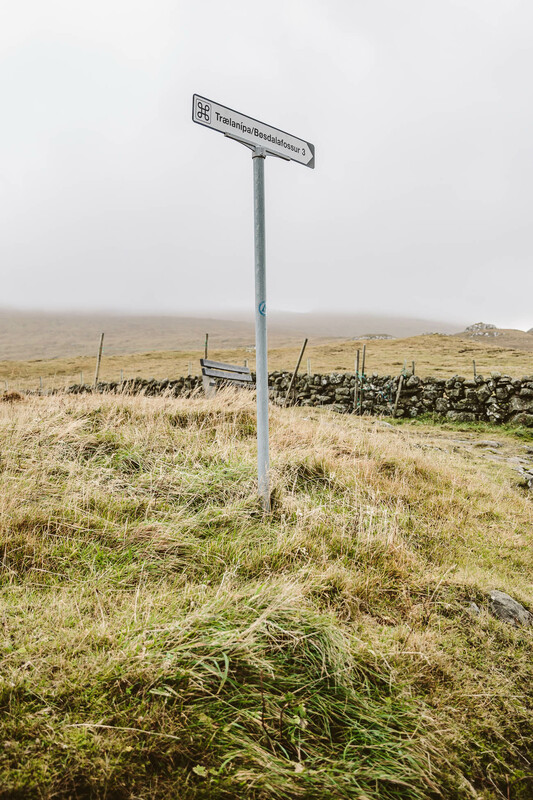 It’s close to the airport on one of the main islands called Vágar. Therefore it’s easy to reach by car (many visitors do this hike right after they arrive at the airport 😉 ). The hike is easy and short (3km one way). The paths are well taken care of. 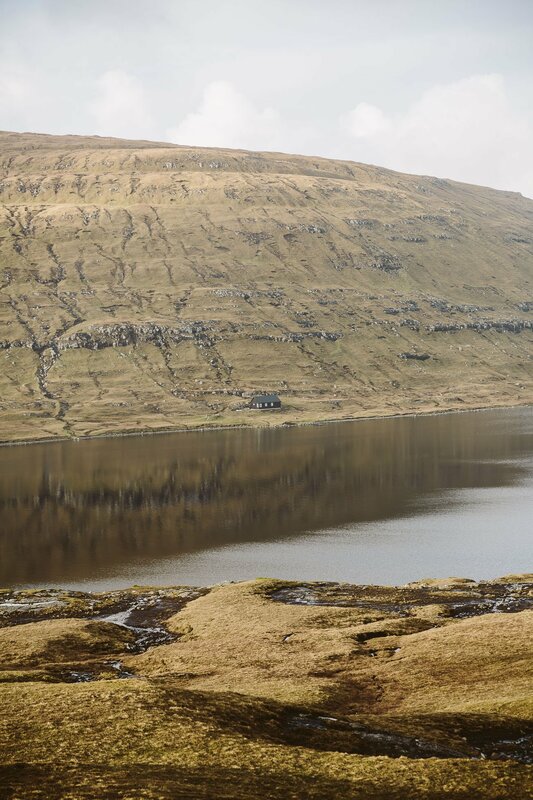 In the East of the Sørvágsvatn lake is the village “Miðvágur”. 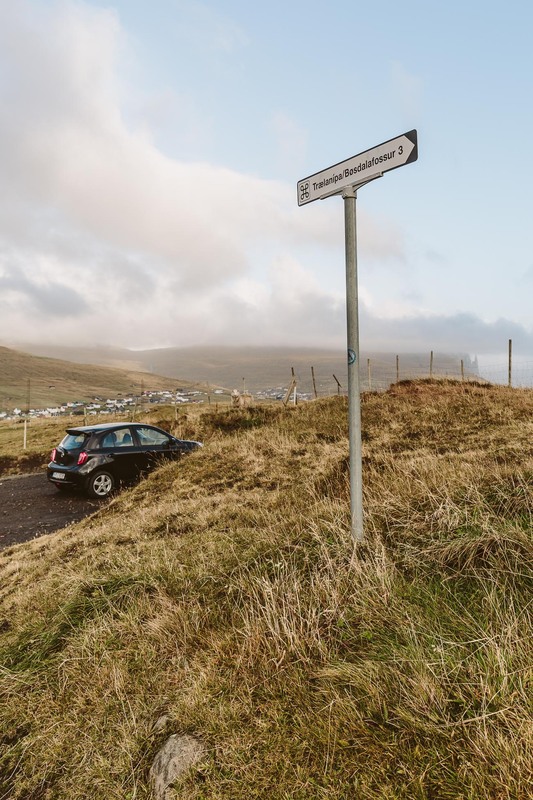 You can either navigate to the Miðvágur church and then follow the roadsigns to “Trælanípa/Bøsdalafossur” or enter the following coordinates, that will lead you directly to the parking lot. As you can see there are two streets leading to the parking lot (from the Northwest and the East) – it doesn’t matter which one you take. The street isn’t paved, but we made it with our small car without four-wheel drive, so you’ll be ok 😉 It’s not too adventurous! There’s space for approximately 10 cars at this parking lot. 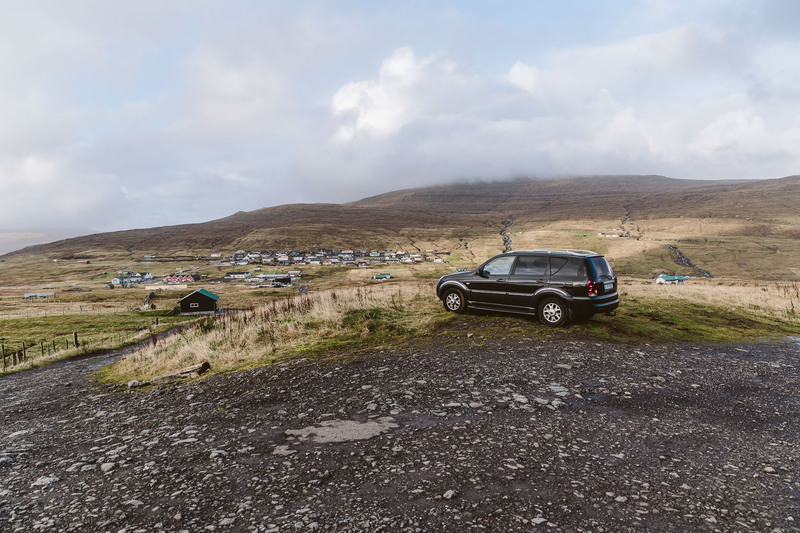 You don’t really need an SUV to get here! From here on there’s only one path alongside the Eastern shore of the lake. 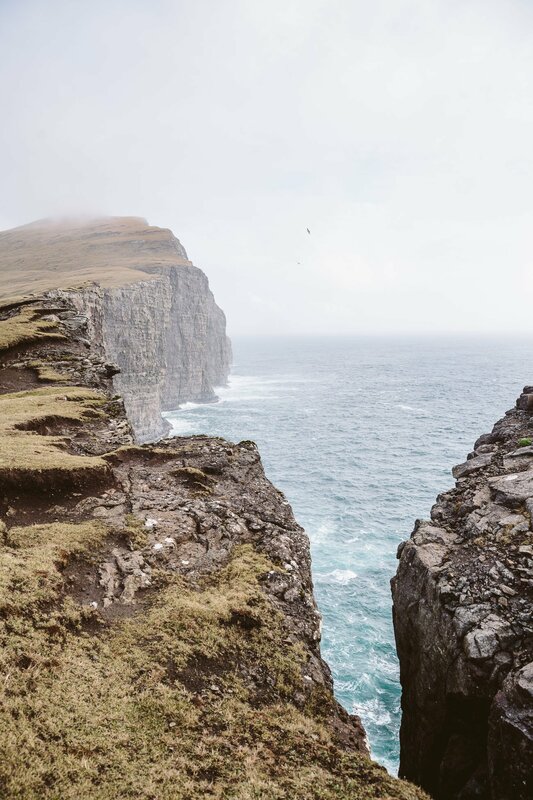 There’s no way to get lost 🙂 At the “end” of the path you’ll reach the cove of “Trælanípa”. 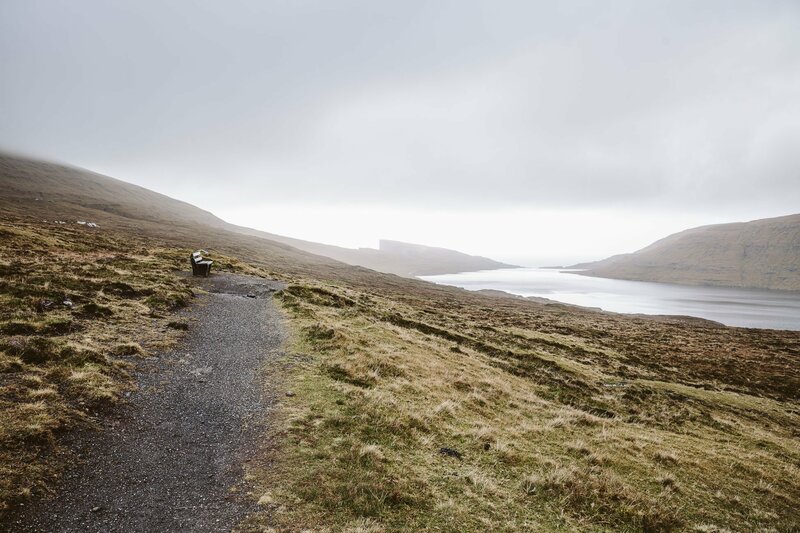 There’s a bench here to rest and enjoy the views back at Sørvágsvatn lake. From here on it’s a short, but rather steep ascend up to the famous lookout spot. But don’t worry, the ascend only takes 5 minutes or so – you’ll make it up! 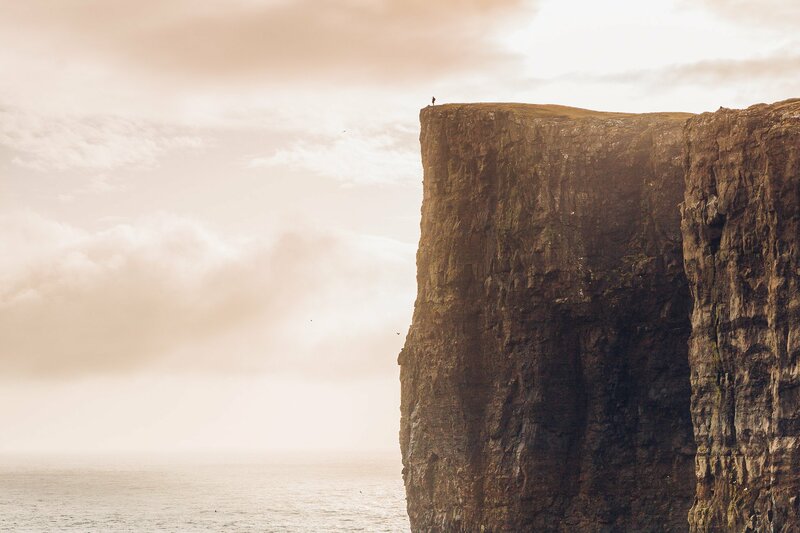 We recommend to make your way up close to the cliffs – otherwise you might miss the spot with the best perspective. It’s not directly at the top, but about two thirds in. 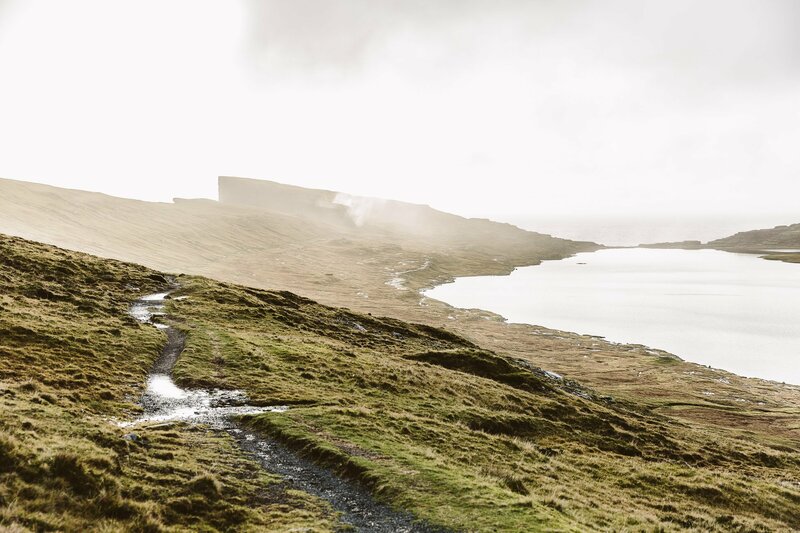 There will be a muddy patch without any grass directly at the cliff – then you know you found it. 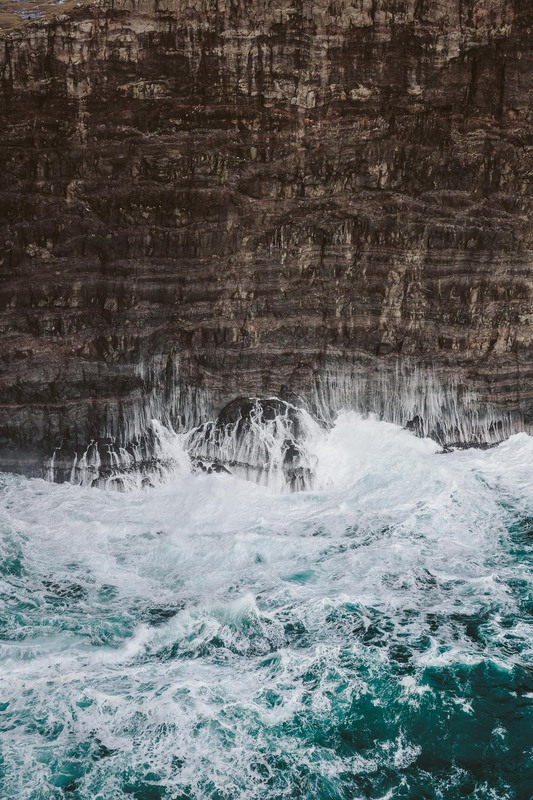 When the waves crush against the cliffs and seagulls float around you – you almost made it! Once you arrived at THE SPOT there’s absolutely no way to describe the feeling. This perspective is simply breathtaking! It really looks like the lake would sit atop of the ocean, when in reality the water levels are just slightly elevated. Be aware that you might not be alone here to enjoy this. We went in October (off season) and still met a couple of folks filming up here). It’s best to plan this for early in the morning or late in the afternoon. We went in the afternoon and stayed until shortly before sunset and got some incredible light! 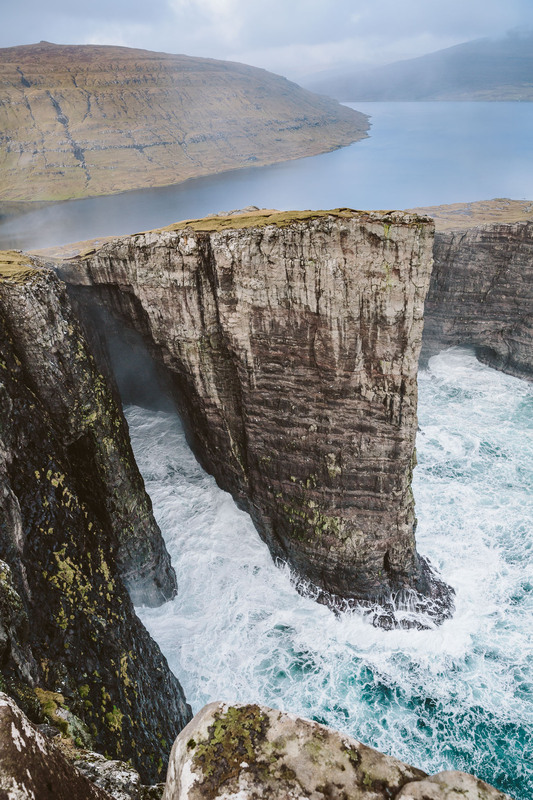 This is the view of Bøsdalafossur waterfall – where the Sørvágsvatn lake actually meets the Atlantic Ocean. As you can see the water levels aren’t so different after all! 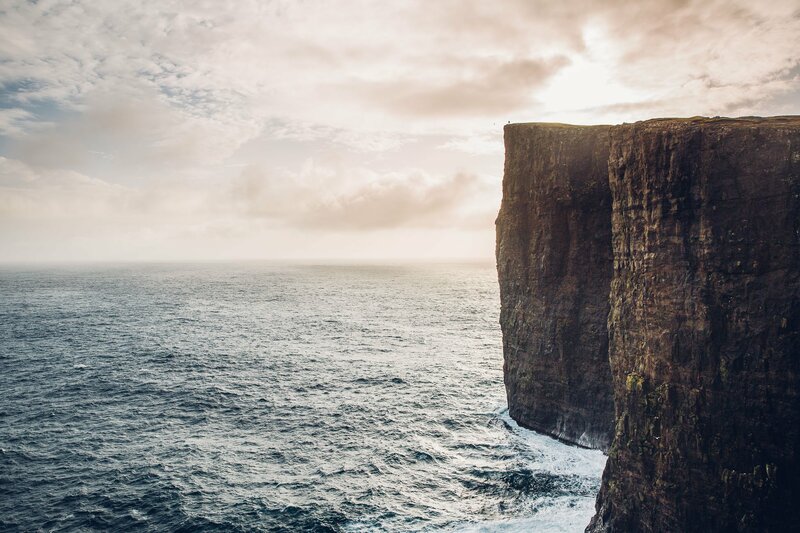 On the way back make sure to either ascend the cliff on the opposite side of Slave’s Rock or make your way further alongside the coast to the waterfall of Bøsdalafossur. 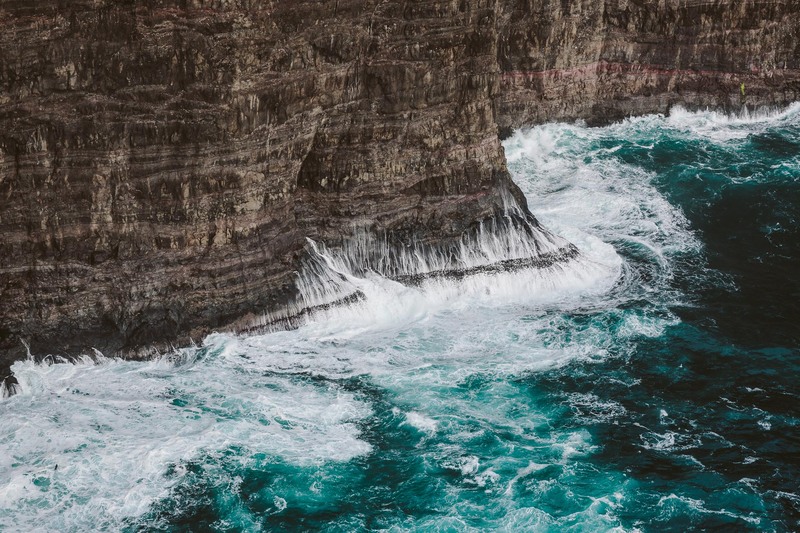 This is the view from the other side of Trælanípa – if you look closely you can spot Raffael up there. You’ll cross some tiny trickles or runlets here and there. Depending on the weather (especially the days before your hike) this might be muddy and a little slippery. 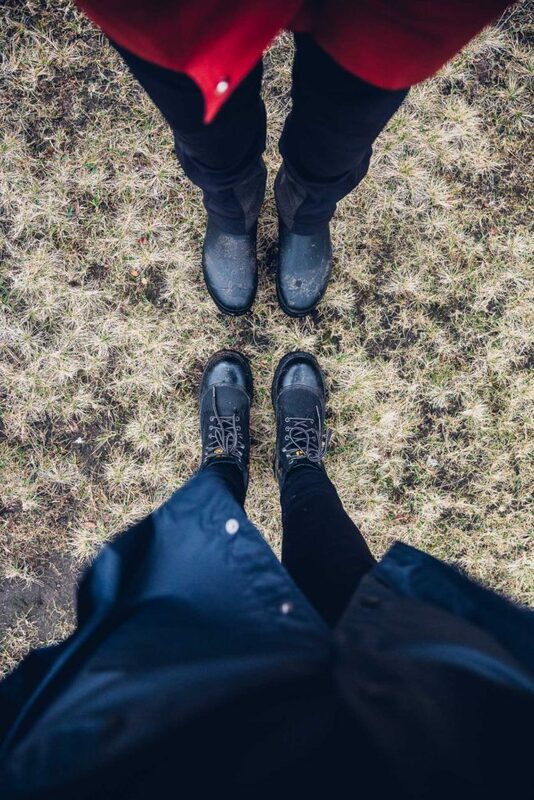 So make sure to wear ankle-high boots with a grippy sole. 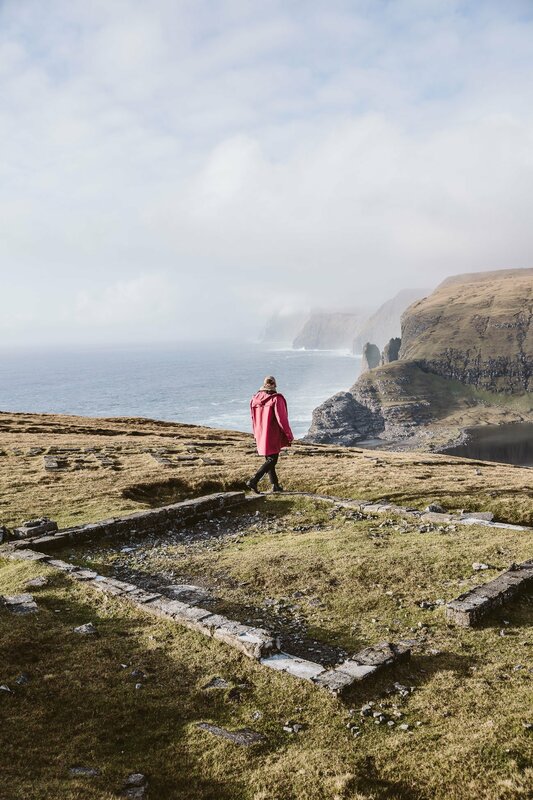 This was our attire for most of the hikes we did on the Faroe Islands (in October). 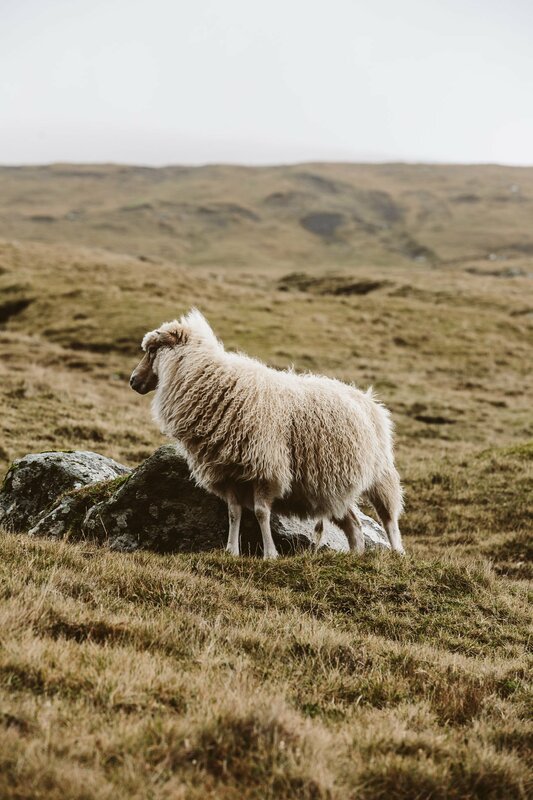 In general it’s advisable to wear layers – knitwear, breathable under layers and a raincoat to top it off. The weather changes constantly. We had everything from rain to sunshine during this 2 hour hike. By the way: Locals tell you it’s a 1-1,5 hour hike, but it really depends on how many photo stops you plan to make. 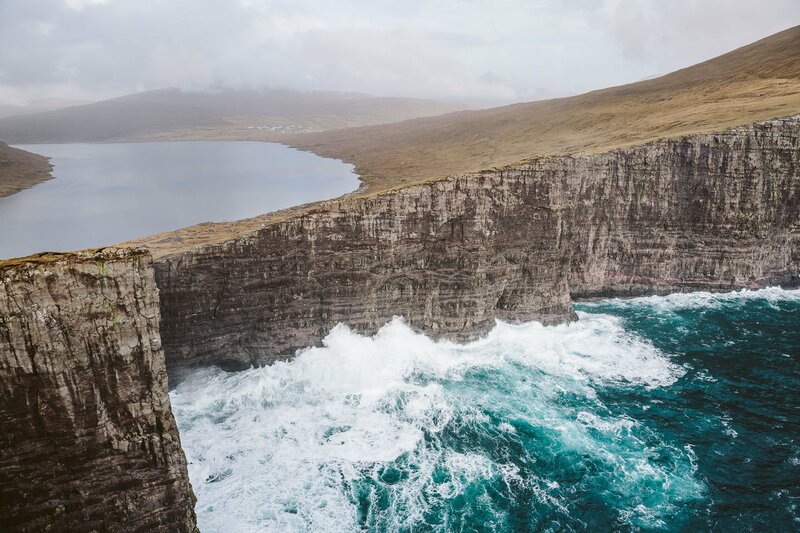 We took a little longer, but also took a couple of hundred photos along the way 😉 Here’s the official Faroe Islands website with more hiking guides! 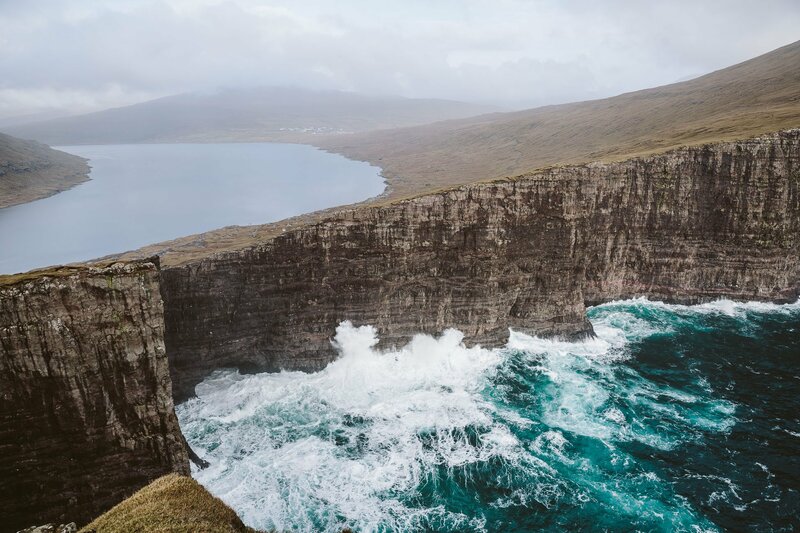 Make sure to check our comprehensive Faroe Islands Guide – coming up next week! In the meantime you might like Swedish Lapland? 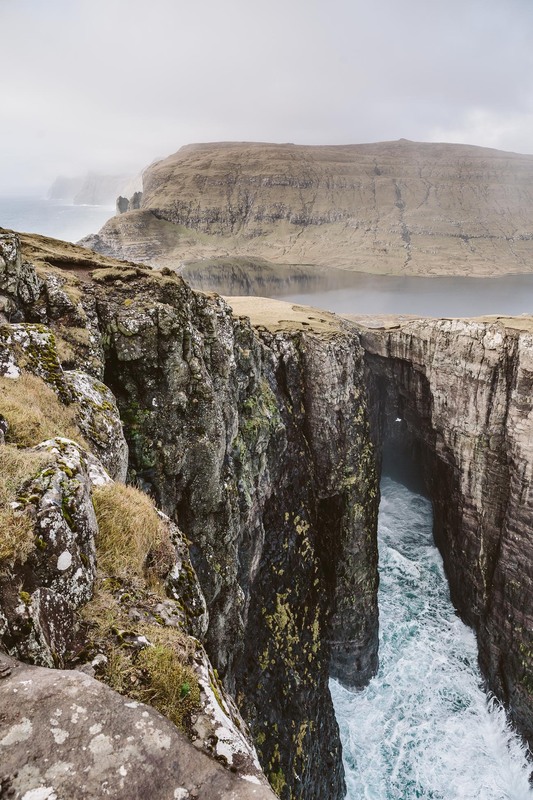 Looks like the faroe islands are a good spot for hiking and photographing? 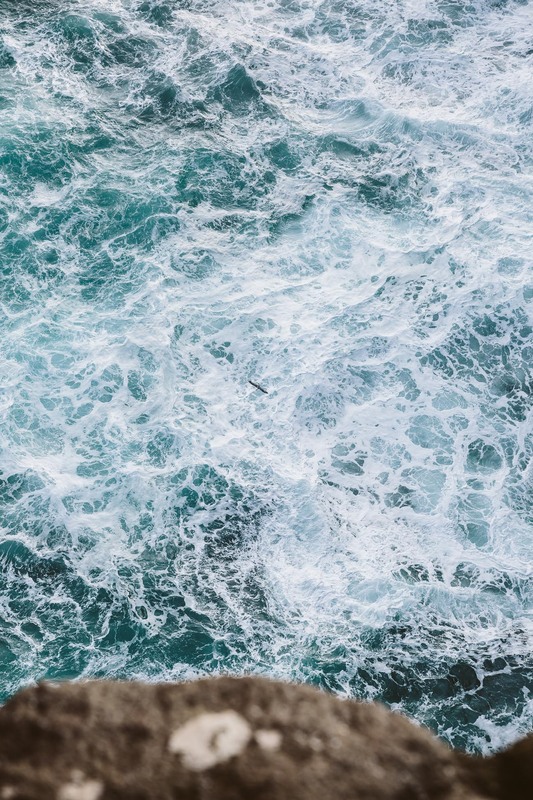 you have some stunning images in this post? Hey Marion, thank you for such a detailed and amazing post! When did you take these pictures by the way? 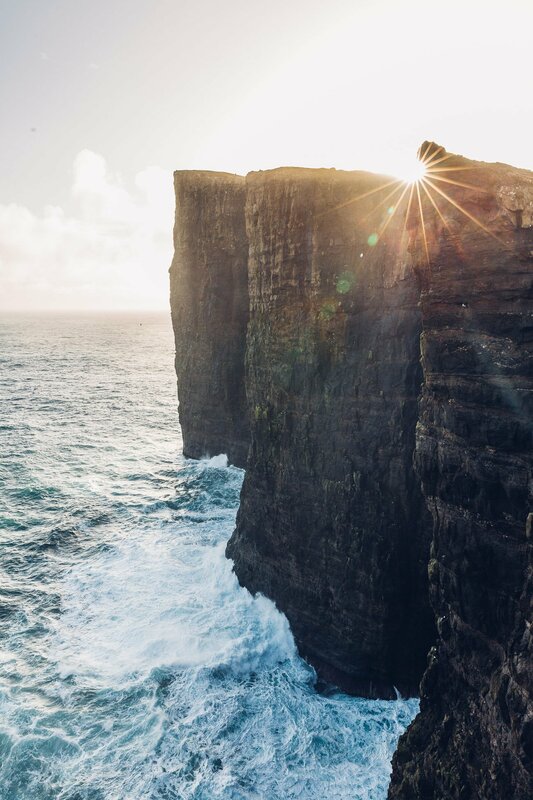 I’m going to Faroe Islands for my wedding photoshoot in November and was wondering if it would look as beautiful as your pictures!